It’s been said that there are three kinds of marketers and how they deal with them: those who let it happen, those who make it happen, and those who wonder what happened! So, for smart marketers who want to fall into that second group, paying attention to what looms ahead is the wisest move they can make. 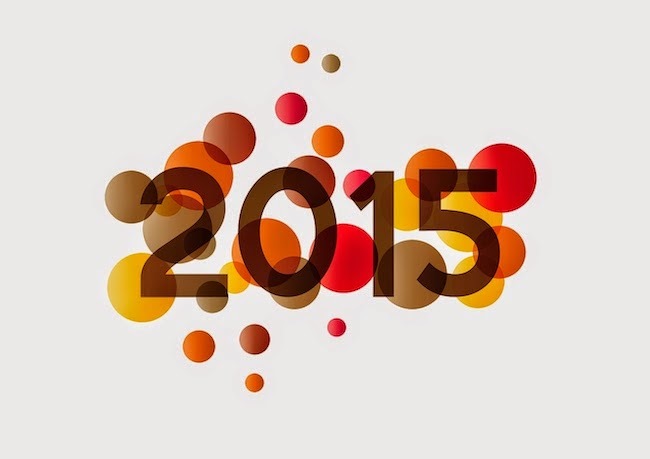 Twenty-fifteen, and the future it will bring, will soon be upon us. In numerology the combination of number 1 (representing leadership and forward movement) and the number 5 (the numeric for business and finance) becomes 15, the fusion of leadership and forward, profitable momentum. This is only useful, of course, assuming you’re a marketer willing to bet your brand’s success on a divine relationship between numbers and impending events. Everyone of a Kind: Consumers will crave more and expect more customized and personalized products, services and experiences. This will be fueled by. . .
Magnified Human Technology: Digital and mobile in all forms will fuel the sense of empowerment and possibility for consumers. Real Brand Engagement: With awareness a given, marketers will link “engagement” to how well the brand is perceived versus their category’s Ideal, rather than just counting “likes” or leveraging imagery. The Everything Expectation: The ability for brands to measure real, unarticulated, and constantly expanding emotional consumer expectations will provide advantages to engage, delight, and profit. Real-Time Becomes Real Important: Increased real-time brand expectations will spread to product availability, delivery, and customer service. It’s Still The Brand, Stupid: Increased consumer expectations will increase perceptions of products/services as commodities. Brands will need to differentiate and stand for something meaningful, emotional, and important to consumers. Oh, and. . .
Category is King: To engage those smarter, high-expectation consumers, brand wills need to be smarter about category-specific emotional values that they can leverage and believably own. Brands Will Get Emotional: Successful brands will need to identify emotional values in their categories and use them as a foundation for meaningful positioning, differentiation, and authentic storytelling. Non-Fiction Storytelling: Storytelling is fine, but the stories brands tell must reflect real brand values and category realities that differentiate and meet consumers’ believability criteria, otherwise marketers will end up entertaining rather than engaging. The Closing of the Showroom: The consumer will use 5+ online sources to facilitate actual purchase decisions, reducing reliance on traditional brick-and-mortars retail. But having identified that trend. . . High-End Shoppers Expect High-Tech Shopping Experiences: Retail will include a seamless transition from human-only service to digital assistants and virtual valets. Watch for more RFID, beacons, and touchscreens to supercharge the retail-shopping experience. Much More Multiculturalism: As ethnic groups grow, brands and retailers will integrate a sense of culture and culture-specific brand experience with all forms of outreach. Online Authenticity: As ‘The Internet of All Things’ matures, consumers will expect greater security as regards personal purchase data, which will act as a confidence builder for online sources and the brands using them. Dead-On Digital: Brands will shift their digital platform question from “should I be here?” to “what should I do now that I am here?” with success linked not to just outreach alone, but contextual relevance. Going Native: Content marketing will continue to become a specialty unto itself. Tools like Digital Platform GPS can optimize placement and resolve issues related to native advertising and shorter consumer attention spans. Metrics will move away from counting the number of views, sharing, and likes, toward real engagement (see Trend #3). One doesn’t need predictive metrics to know that every day marketers face new challenges. But, as the saying goes, if you want to do something new, you have to stop doing something old. These emotionally-derived engagement trends provide brands with the opportunity to break old habits and discard old-century legacy measures, and instead embrace new methods of brand engagement, new business models, and new and profitable opportunities for the coming year. Well, not precisely the Arch Deluxe, but more about that below. McDonald's just posted sharper-than-expected November sales declines. Global sales are down 2.2%. In the U.S. sales fell more than twice that – 4.6%, the lowest sales month for them in over a decade, and almost four times worse than analysts had projected. Those wacky Wall Street analysts! Wherever were they getting their research? As a matter of fact, it raises the same question for McDonald’s. Where are they getting their research? Or, more precisely, where are they getting their brand research? Millennials have migrated to fast-casual restaurants because they believe that they get better, higher quality, tastier and customized food. Gen-Xers want good food fast. Boomers believe fast-casuals provide the kind of service they deserve. And are willing to pay for it. Oh, and healthier options. And everybody wants – and is willing to pay for – what they see as value-for-dollar, as opposed to price-value – so everyone seems willing to pay more for healthier, fresher, customized foods with better service. Younger consumers have taken to characterizing fast food as “dollar food,” and do not mean it as a compliment. Anyway, McDonald’s is looking for a way to reverse the downward slide. But, we fear, in all the wrong places, and likely with the wrong research. McDonald’s, having the production and distribution infrastructure and the financial wherewithal has consistently watched what competitors were offering and then slapped a “Mc” on it and added it to their menu. Salads, wraps, premium coffee. Like those. On the health front they currently have a plan designed to recapture consumers now spending money at chains like Panera and Chipotle via transparency, with a new campaign based on the idea that McDonald’s wants to be transparent and not hide what they put in their food and they too are natural and fresh and premium and. . . wholesome? But as regards the problem McDonald’s faces à la consumers looking for better service, increasingly complicated McDonald’s menus have made fast service increasingly problematic. What to do, what to do? Glad you asked. After dropping their Angus burger, McDonald’s is expanding their offerings and is test marketing a build-your-own burger made with – wait for it – premium ingredients. Makes you wonder about the currently level of transparency. Aren’t they trying to convince people that what they currently use is premium? Anyway, the test burger currently offers 20 topping and sauces, white cheddar, applewood smoked bacon and things like guacamole, grilled mushrooms, caramelized onions, and garlic sauce. You can add bacon (or an extra patty) for a buck extra and (currently in test) sells for $5.79. You can have it char-grilled it to order and you know it’s going to be good because you order it on an iPad! And it is rumored to be delivered by a server dressed in a black and white pinstriped chef’s apron and they say they can do it all in six minutes. All of which raises another question. 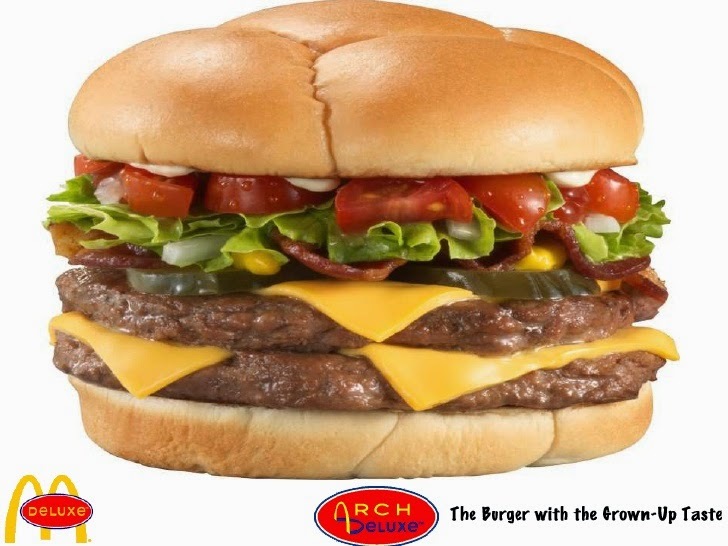 Does anybody at McDonald’s headquarters remember the Arch Deluxe debacle? For those of you too young to remember, that was McDonald’s response to competition for adults too. You can probably look up the historical details on your iPad too. Briefly, McDonald’s saw that adults came into their restaurants with their kids, bought food for the kids, and a cup of coffee of a cola for themselves, but no food. Hmmmm, what to do? So they asked. “Why aren’t you eating something too? And enough adults responded, “because you really don’t have anything for me. This is kid food,” or something very, very close to that. And, no fool McDonald's, they asked “If we had something just for you, would you eat that?” And many of the respondents said, “sure.” A direct question, and easy answer, why not? McDonald’s likely did it more elegantly than that, and there are nuances to this story, but this is a column and not a case history, but the result of their market and competitive research was the Arch Deluxe, an adult burger backed by $100,000,000 of advertising and promotion. Think Ronald McDonald in a suit and tie. Ronald on a golf course. No, seriously. There was a teaser campaign where all you could see his big red clown shoes in adult situations. They couponed, the hell out it, and it tanked. McDonald’s has since rationalized that they had the pricing strategy wrong, but we disagree. Based on the promotional campaign, there were maybe a dozen people who actually ended up having to pay full price. OK, maybe more, but not a lot. And not enough to make it profitable. The problem came back to “brand.” The burger was fine. Everything McDonalds serves up is ultimately fine. It’s just that nobody, that is to say, adults, actually believed that McDonald’s could make a burger that would meet their adult expectations. Maybe the iPad will help this time. But technology notwithstanding, engaging customers is about understanding their expectations and knowing how your brand can believably be seen to meet those expectations. It’s a brand issue not a product-mix issue. Or a lack of more social or traditional advertising. One other side-question that occurs to us is, if McDonald’s is having problems with menu complexity and speed of service currently, how is char-grilling and customizing these burgers going to speed things up? Based on current reported options, and calculating for a reasonable number of selections, it looks to be someplace in the neighborhood of 53,000 possible combinations. Maybe there’s an app on the iPad for that. The bottom line: McDonald’s is mired in the past. In how they measure what will truly engage customers and how they measure how their brand is really perceived. What’s clear from the consumer engagement assessments is that McDonald’s has lost brand meaning. They stand for ubiquitous hamburgers and fries and “dollar food,” and they desperately need to fix the brand. If they think more advertising, or custom burgers via apps or tablets are the answer to what ails them they’re in a lot more trouble than they – or the analysts – realize! Whether You Call It “Gray Thursday,” “Black Friday,” “Small Business Saturday,” “Sofa Sunday,” “Cyber Monday,” or “Giving Tuesday,” It’s All Just November. As Brand Keys (the only research consultancy that specializes in customer loyalty and consumer emotional engagement measures that predict future consumer behavior) foretold 4 years ago, “Black Friday” has now become a season unto itself. It’s probably not surprising that Thanksgiving (aka “Gray Thursday”) and the days that follow have taken on nomenclatures of their own (this is retailing and advertising after all! ), but they have, which makes it a little easier to point out the differences between those 5 shopping days (6 if you count “Giving Tuesday” (started 2 years ago by New York’s 92nd Street Y and the United Nations Foundation in response to the commercialization and consumerism in the post-Thanksgiving season) and subsequent shopping – in how people are shopping for the holidays. These facts-of-retail-and-consumer-life were identified by 16,000 consumers in Brand Keys’ 20th annual National Holiday Shopping Survey. How Many Consumers Will Do Online Presearch Before Shopping? Most research will be done the Sunday before Cyber Monday. Thanks to mobile (and a day off for many), the heaviest ad blitz will be done on Black Friday. Peak shopping times correlate highly with Thanksgiving prep, family celebrations, football, and work schedules. Of a projected individual $855.00 for the 2014 holiday spend, 4% higher than last year, here are estimated breakouts of consumer spending. This year is likely to be the first time in nearly a decade that Black Friday won't be the biggest shopping day of the holiday season in terms of traffic and sales. This is due in part to the fact that retailers offer deals year-round and consumers have taken that to heart, and more stores are open on Thanksgiving Day. With the expansion of Black Friday into an entire season (aka November) more people are shopping on – or prior to – Thanksgiving, with “Black Friday” becoming more of a ritual than a reason to buy. As Brand Keys predicted, with the intense competition for consumer dollars, department stores and specialty shops had to become more aggressive on deals, promotions, and operating hours this holiday (albeit earlier) holiday season, and those realities are showing up in the real marketplace and on retailers’ bottom lines. This holiday season Hispanic shoppers will make the difference between a ‘Feliz’ (happy) and ‘Feria’ (fair) ‘Navidad’ for retailers, according to 2,417 Hispanic consumers who participated in the Brand Keys 20th annual Holiday Shopping Survey. The projected individual spend among Hispanic households is estimated to be $985.00, about 7% higher than last year, and nearly 15% higher than the projected 2014 spend for the general population. But retailers will need to work culturally smarter if they want to get their share. In this year’s Brand Keys Holiday Shopping survey, 54% of the general population indicated they were going to start Holiday shopping in November, a trend we’ve commented upon for a number of years now. But this is not the case for Hispanic shoppers. 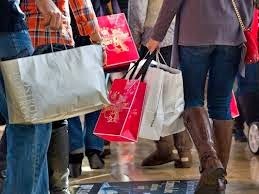 Nearly half of Hispanic consumers surveyed (49%) indicated they were going to wait until Black Friday November 28. Many Hispanics (38%) indicated they were going to wait well into the traditional holiday shopping season to buy gifts, which has less to do with discounts and more the time taken to search for the perfect gift. The rest started shopping last month. Hispanic consumer expectations are up again this year regarding outreach and convenience, but particularly as regards the brick-and-mortar retail shopping experience. Brand trumps dollar-value perceptions among this cohort and retailers that can integrate some sense of Hispanic culture and store experience with all forms of outreach will likely find it to be a winning combination for this shopper segment. 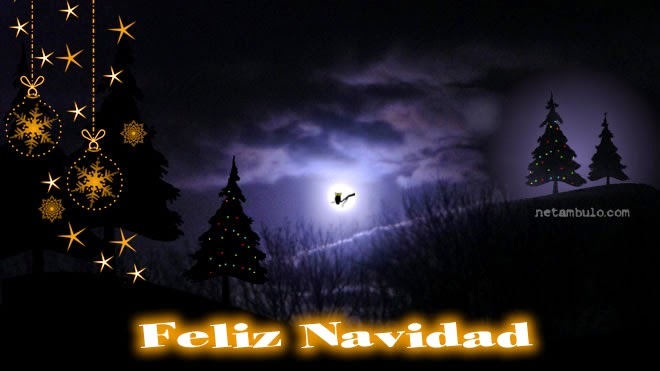 Y una muy feliz navidad este año! The Few. The Proud. The Marines. Tuesday is Veterans Day, a celebration to honor America's veterans for their patriotism, love of country, and willingness to serve and sacrifice for the common good. We salute them all. 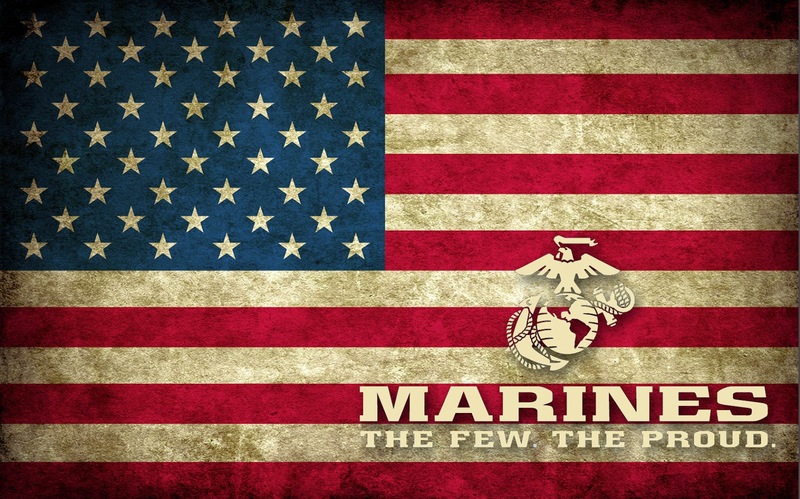 But today belongs to the United States Marines, marking the 239th birthday of the Corps. Marine Corps birthday celebrations come with a traditional cake-cutting ceremony that would put your usual event marketing to shame. For this, a commanding officer cuts the cake with a Mameluke sword (a kind of scimitar), the first piece going to the oldest Marine present, which is then passed along to the youngest. During the annual birthday celebration, Order No. 47 is read, which says in part, “it is fitting that we who are Marines should commemorate the birthday of our corps by calling to mind the glories of its long and illustrious history.” Marines are proud of that history. This birthday presentation started November 1, 1921 by order of the 13th Commandant, Gen. John A. LeJeune, as a reminder of the service of the Corps and its inception. It’s been celebrated this way for 93 years. So a real tradition and part of its “long and illustrious history” and a truly emotional event where loyalty and continuity continues to reinforce the Marine Corps brand. History and tradition are a big part of the Marine Corps brand, and many expressions that have become part of the American lexicon are related to the Marines. For example, the phrase “Leathernecks,” hearkens back to 1776 when the Naval Committee of the Second Continental Congress stipulated new Marine uniforms and along with green coats, buff breeches, and black gaiters, the committee mandated a leather collar to protect the neck against cutlasses. Oh, and to help maintain proper military bearing. Marine “packaging” has changed over the past 239 years – they have the best dress uniforms of any of the services – but the name stuck! The appellation “Devil Dogs” comes from the Battle of Belleau Wood in 1918. The Germans called the Marines fighting through woods that were thought to impenetrable, and who finally captured ground thought to be an absolute German safe haven, “Teufel Hunden,” referring to the legendary Hounds from Hell. That was incorporated into the "Marines' Hymn," the official hymn of the Corps as well as the oldest official military theme song in the United States armed forces. See what we mean about history? Marines stand at attention when it’s played or sung, a real tribute to the Mad Men of the ‘50’s who counseled you could identify a hit brand, theme song, or campaign by “running it up the flagpole, to see if anyone saluted it.” Marines continue to do so. A lot of credit goes to ad man J. Walter Thompson for that. Mr. Thompson enlisted in the Marine Corps in 1864 so you might say there was some history there too, because l about 100 years later his company helped develop the Marine Corps into the elite brand it stands for today. It is, perhaps, the most-cited slogan of any of the U.S military forces and even appears on Madison Avenue’s Advertising Walk of Fame.